Reliable protection for most sites implies that a security officer is conducting foot patrol rounds in secured premises. Patrolling needs to be done regularly, and the more time the premises are under surveillance, the harder it is for an intruder to commit unlawful acts. The mere presence of a security officer right in the restricted area, and not only “on duty” in a guard shack, gives warning to illegal trespassers. However, foot patrol is often an expensive service that relies on the professionalism and commitment of the personnel involved; therefore, it involves a costlier long-term investment of wages, benefits, and management efforts. With the advent of autonomous mobile robots designed to address the challenges of patrolling and protection, reducing costs and improving the quality of restricted-area patrols is now possible. Security patrol robots are able to move along foot patrol routes autonomously. Thanks to a built-in automatic guidance system, the mobile robot is able to independently take detours around obstacles and choose the optimal route to follow. The surveillance system installed on the robot transmits images of its surroundings either to the guard shack or directly to a foot patrol officer’s tablet. 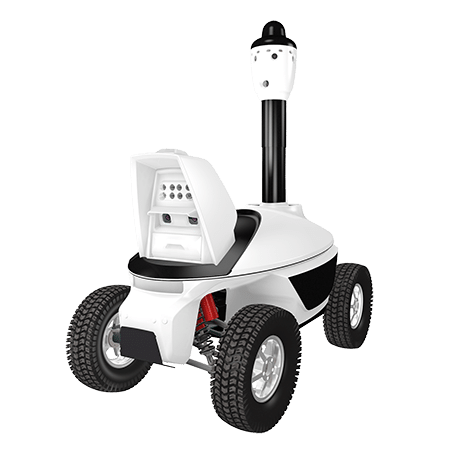 The patrol robot is virtually silent as it moves, because it uses electric motors and modern high-capacity, lightweight batteries that give enough power to patrol for eight hours. 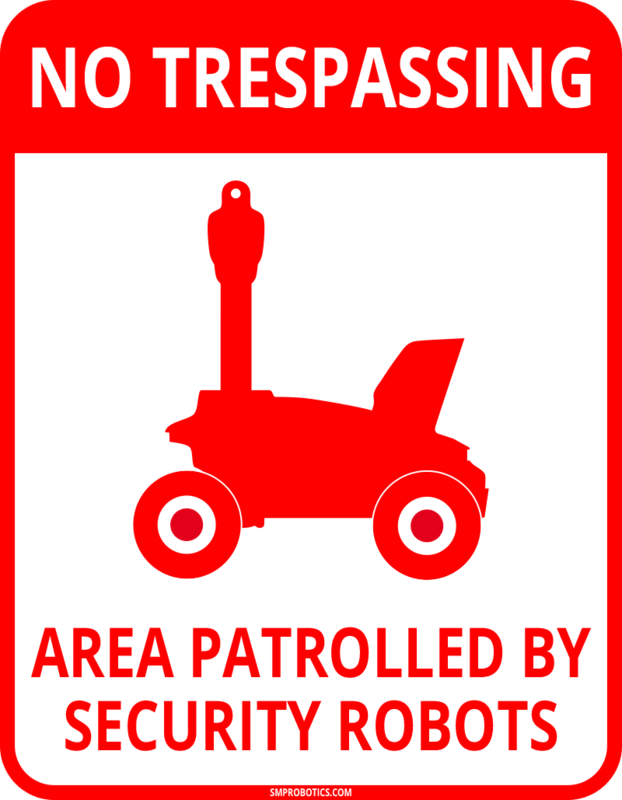 The robot is always present on its patrol route; unlike human beings, it does not need to rest, and it does not need to be supervised with any security guard patrol-tracking systems. Any idle time can be significantly reduced by setting up automatic charging stations at those places where the robot makes long stops for stationary video surveillance. A robot can be made more noticeable by activating built-in flashing lights. The security patrol robot is able to change its route in case its stationary alarm sensors are triggered. This feature is especially useful while patrolling a fence line or remote areas of the site. With continuous 24/7 use, the security patrol robot pays itself off very quickly, since its functionality allows it to compete with security officers on roving patrols who receive a company’s extensive investment in hourly wages. The benefits of using security patrol robots become readily apparent when robotic security is combined with human security. The robots are able to carry out routine tasks and compensate for any shortage of professional staff. At the same time, the security officers can detain trespassers and sensibly respond to unpredictable criminal activity. Humans and robots working together allows for more stable expense calculations, as personnel wages can be minimized, while reliable protection under conditions possibly adverse for human beings is enhanced. 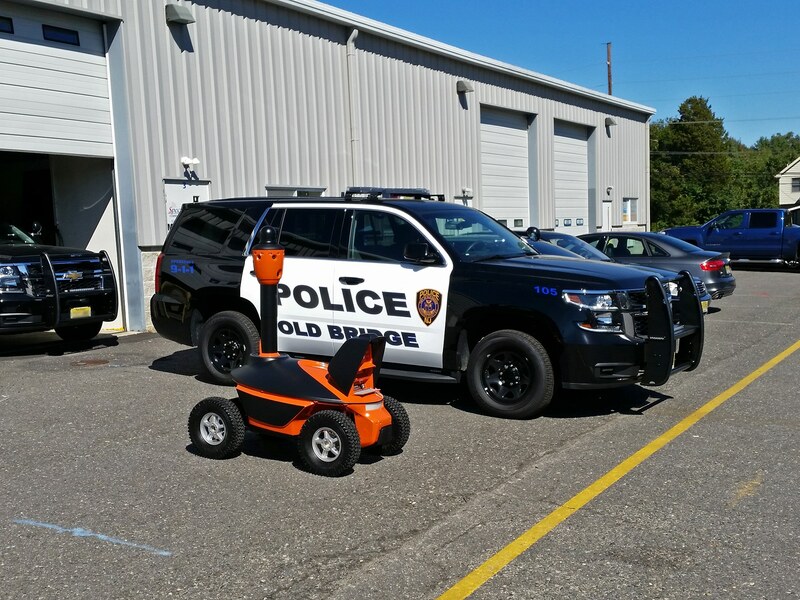 Roboticized patrols are especially effective at large sites where premises can be divided into locally protected zones and where mobile robots can patrol while conducting video surveillance. Each robot patrols its own local area of the site, ensuring comprehensive control over its most remote parts. At the same time, a mobile unit of security officers can be available to quickly arrive at intrusion scenes in response to alarms. By combining the capabilities of different security robot models, it is possible to reduce the number of personnel at guarded sites, automate some common security features, promptly reinforce security when necessary, and avoid variability in security work quality as performed by human staff. By using security robots, companies providing security services with security officers on staff can quickly increase their number of guarded sites. 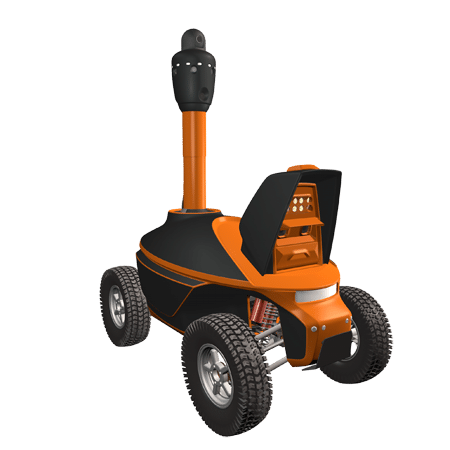 A security patrol robot is equipped with a 360-degree video surveillance system. It consists of six cameras for panoramic observation and a PTZ camera to track objects at larger distances. In automatic mode, the video surveillance system directs the PTZ camera at any movement source that is discernible by the panoramic cameras. In manual mode, a human operator can control the PTZ camera. 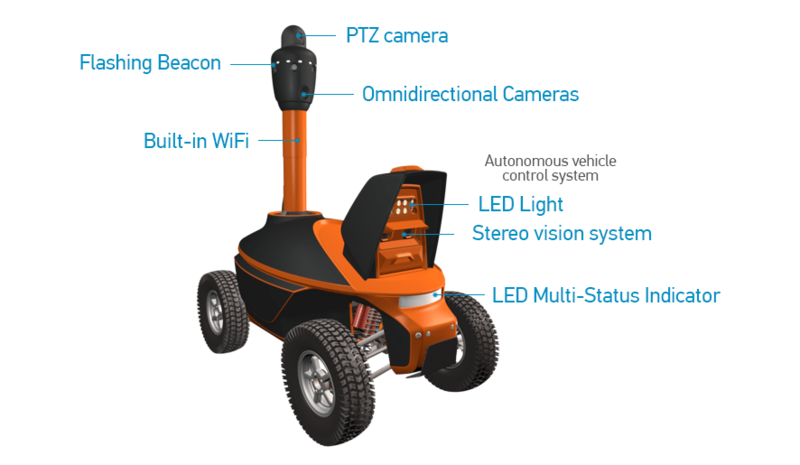 A built-in, high-power WiFi unit is used to view the images, control the PTZ camera, and control the robot’s movement along its route. Wireless communication within the robot’s systems allows its status and position to be displayed on a terrain map on a security officer’s tablet or on desktop computers at a central monitoring station. Areas along the patrolling route having an unstable WiFi network can cause restricted online video surveillance functionality. In order to ensure the continuity of video surveillance documentation, images from all cameras are recorded on a built-in DVR. 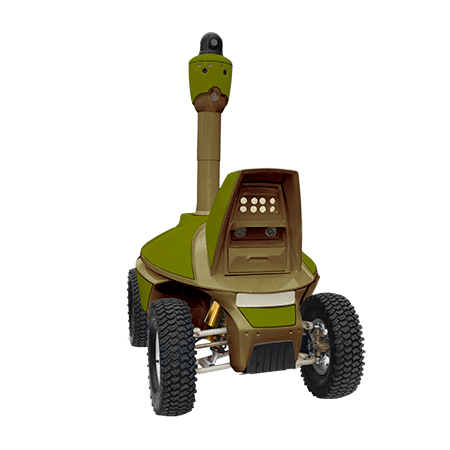 The security patrol robots are manufactured in three variants with different video surveillance systems. Depending on the characteristics of the area being patrolled including the lighting conditions, different camera models can be selected to provide the best quality for surveillance. Additionally, the robot’s design allows third-party video servers to be embedded to ensure the security robot’s swift integration into any existing stationary video surveillance systems. 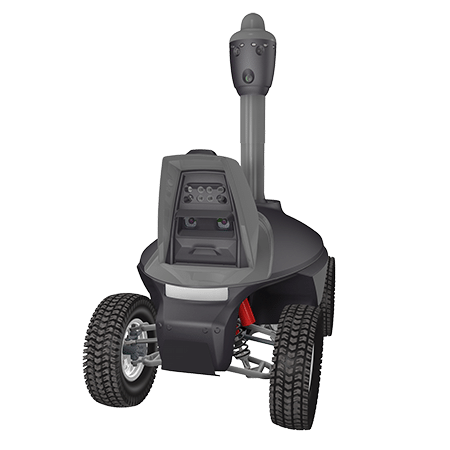 The S5 PTZ Security Robot is designed to patrol areas that are mostly open space and to perform round-the-clock surveillance from fixed positions. Along with six high-sensitivity panoramic cameras, the video surveillance system is equipped with a PTZ camera that has 28x optical zoom. Combined with a motion sensor to actively lock in on activity, the video surveillance system allows areas to be observed that are over 100 yards away, both in stationary mode and in motion. 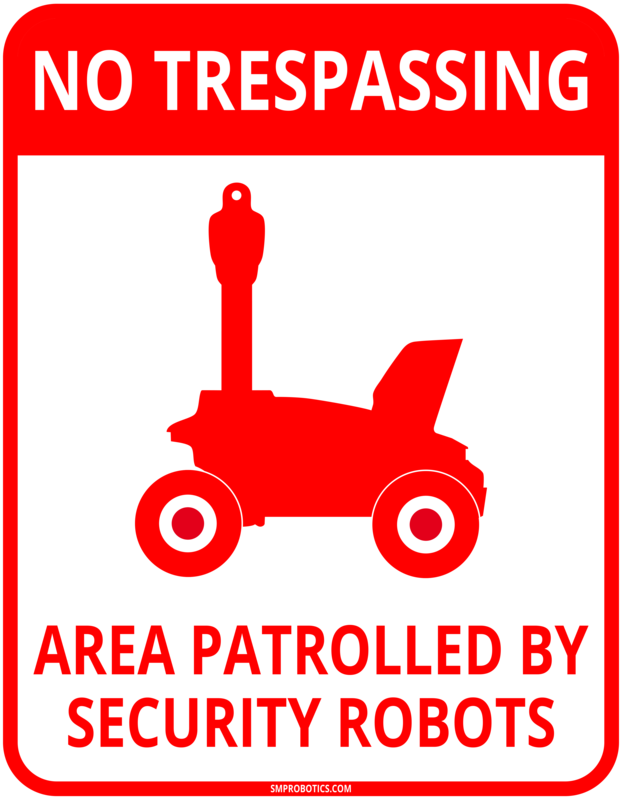 For areas that are artificially lit during the nighttime or require mostly daytime patrols, the S5 HD Restricted Area Patrol Robot was created. This mobile robot model is equipped with six high-resolution cameras. The use of cameras with resolution over 2M within the 360-degree video surveillance system allows for an ultra-high resolution, 360-degree panoramic image to be created. This resolution ensures a high probability that people and their faces can be recognized, motor vehicle license plates can be read, and small objects around the area can be examined carefully. Patrolling parks is complicated by high-contrast images generated in areas that are shaded by tree foliage with bright sunlight streaming through it. For work in these types of challenging conditions, as well as for night patrols conducted under uneven artificial lighting, the S5 Perimeter Control Robot was created. It uses high-sensitivity cameras that have a wide, dynamic range and an image quality that allows video monitoring at a range of 15-20 yards, even in the most challenging lighting conditions. In addition to security robots patrolling a site’s premises, in many cases it is viable to use security robots for video surveillance from positions that rarely change. These robots make use of built-in solar panels to replenish the electrical energy consumed during video surveillance. At remotely guarded sites or those with a small number of security officers, it is possible, and sometimes even necessary, to use robots that can provide physical resistance to intrusion. This type of robot is called a security guard robot, which is equipped with non-lethal weapons that render an acoustic impact.